Looking for a certain color or open to other ideas? Need to decide right away or have time? Want a little or a lot of help choosing? Your design consultant will be glad to assist you at every step in the process of selecting, purchasing and installing your new countertops. 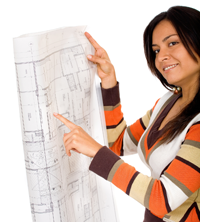 When coming up with a design and budget, consider your plans for the future. Are you expecting to put your house on the market in the next few years? Or, do you intend to stay in your home indefinitely? 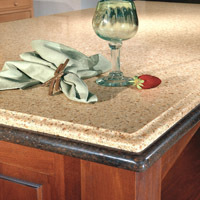 If so, you should take the time to customize your kitchen and bathroom countertops to your particular needs and tastes. After all, you’ll be spending many hours in both! To get started, the first step is to decide on the material that lines up with your appearance, performance and pricing preferences. 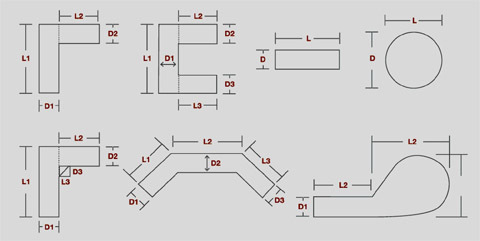 It’s helpful if you can provide a basic idea of the configuration your kitchen and/or bathroom counters with approximate measurements. Using this, your designer can develop an estimate of how much material (in square feet) you’ll need. Color selection is going to be a key consideration in driving your decision. Whether you’re just upgrading or they’re part of a kitchen or bathroom remodel, take your time picking the right color countertops. They’re what catch your eye and these rooms’ most visible source of color. When meeting with your designer, it’s a good idea to bring along color samples of your existing cabinets, flooring, appliances or paint, or the new ones you’re considering. Look through a wide range of product samples, select three or four you like, and take them home. Judge them against the cabinets, flooring, appliances and paint they’ll accompany. Look at them in daylight and under your kitchen and/or bathroom lighting at night, as different lighting conditions change the appearance of colors. Your designer will explain all of your available options in edging, inlays, borders, trim, etc. and will also go over choices of sinks, tile backsplashes, faucets, etc. with you. 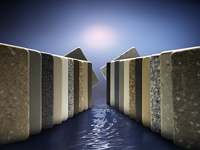 Your choice of material, color and any custom design features and accessories ultimately determine the price of your new countertops. Your designer will take this information and your sketch to work up an initial estimate of the total cost for your new countertops. The final price won’t be set until a Marvic Corp. representative visits your home to template (measure precisely) and see if there are any special installation considerations.